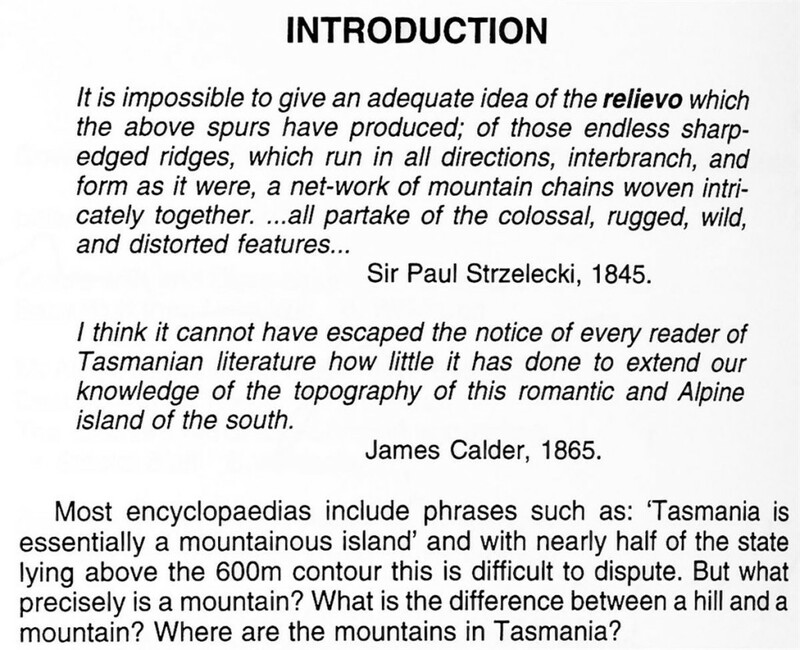 Everyone talks of Tasmania as a mountainous island and it is true that they are present in almost every part of our state. But how many are there? Where are they located? Can a useful, informative list be created? Is it possible to climb all of Tasmania’s mountains, a task that has never been attempted? In this book these questions are answered. By establishing the definition of a mountain as having a minimum height of 1100m and a drop of 150m on all sides, a list of 155 peaks is obtained. These peaks are coined Abels, in memory of Abel Tasman, the discoverer of Tasmania during his epic 10 month voyage in 1642. The state is split into 10 convenient sections and the mountains, or Abels, in each section are then listed in height order. An index provides to help find that missing mountain. 18 photographs and 10 maps assist in interpreting the information. This book was released by Regal Press. It is currently available from an eBay shop, HERE. It should be noted that since the release of this publication, there have been an additional 3 mountains discovered, that qualify as Abels. As such, the listing is outdated.